All-purpose resin based weatherproof wood adhesive for all wood bonding. Ideal for general woodworking and joinery, furniture assembly. Conforms to EN 204 (D3) and BS EN 14256. For interior and exterior use. 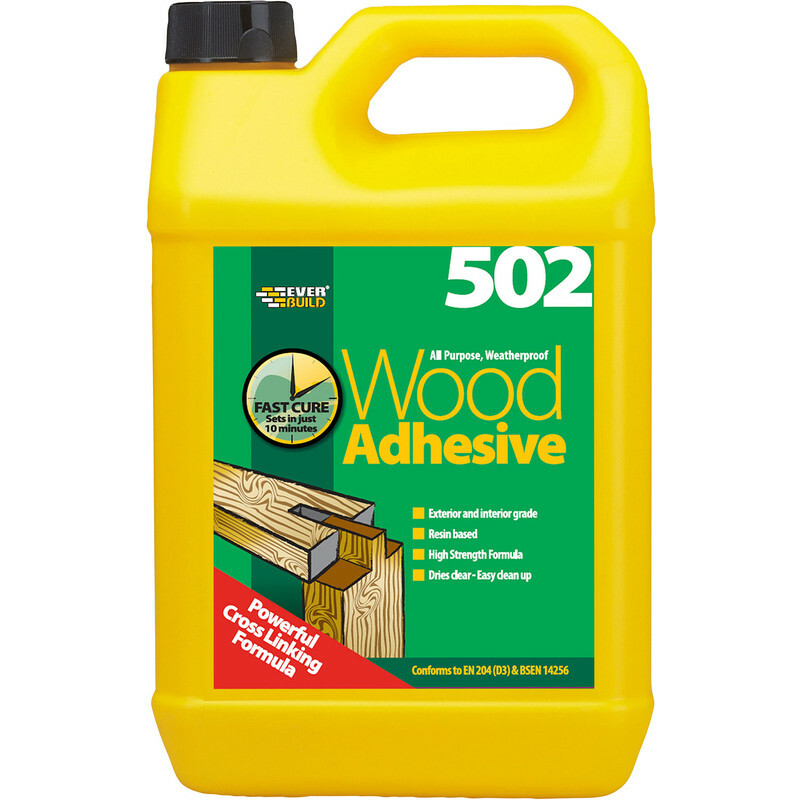 Interior & Exterior PVA Wood Glue 5L is rated 4.7 out of 5 by 60. Rated 5 out of 5 by KEITH 44 from Works well Good value for money, will buy more when I need to. Rated 5 out of 5 by Dave C so from Dries clear. I use this adhesive on a daily basis, it is very strong and enables me to put large items of multy woods on my lathe after only 24 hrs and i have never had it let go. Great product Recommend.